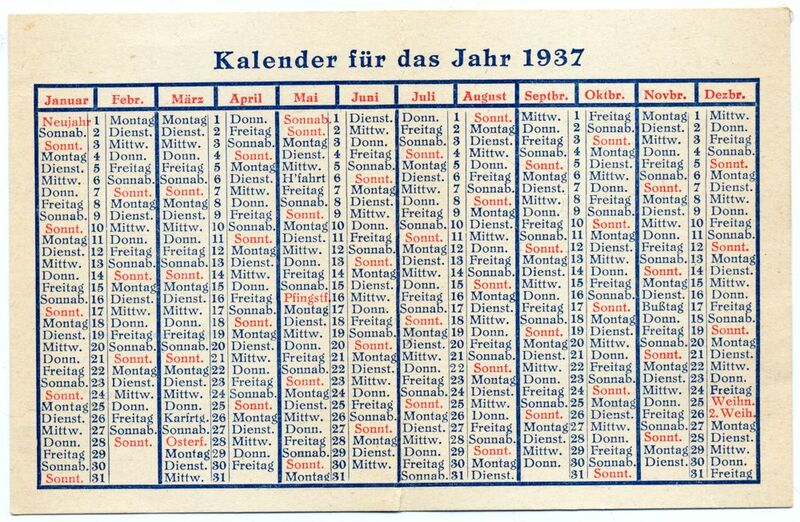 Home » Calendar » German Calendar 1937 to 1938. 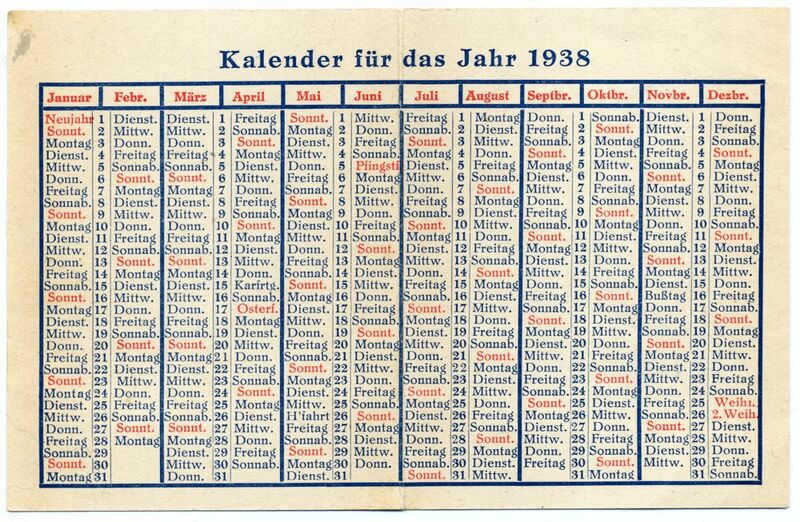 German Calendar 1937 to 1938. 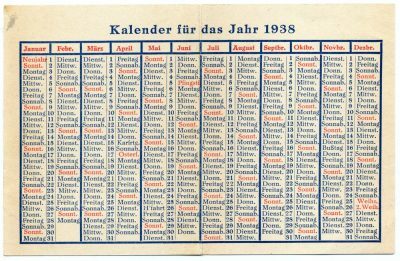 German Calendar from 1937 and 1938. The holidays are marked in red. 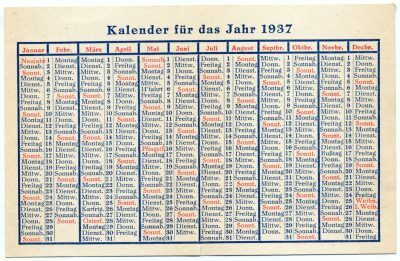 Previous PostPraterstern Vienna Austria 1904.